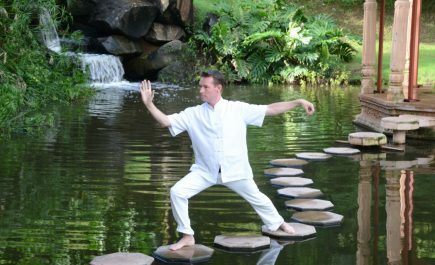 Renowned as a corporate wellness guru and founder of the Working In Balance website, Toby has been practicing the healing arts of the east for nearly twenty years. I first met Toby on a wonderful ‘Mind-Mapping’ session at The Body Holiday, St Lucia and was blown away with his knowledge and expertise on stress management. According to Toby, our generation’s increased stress and anxiety is the result of modern technology. The internet and mobile phones have increased the length of the working day and made it almost impossible for people to ever “escape” from the office or flee the constant bombardment of information. Toby works with hypnotherapy – a powerful tool to determine the cause of the stress or anxiety, and meditation to allow individuals to detach themselves from thoughts and emotions and see things in a much clearer perspective. 1) Clarity: Be clear about the things in life that are causing you stress and write them down. This will allow you to lift the burden from your mind and see it more clearly in black and white in front of you. 2) Empower yourself: Write down solutions to the things that are causing you stress and take action to start changing them. Anything can be fixed, but not without effort. 3) Manage your life: Be clear about what you want in life as this will give your mind a direction in which to channel your thoughts. Without goals, the mind will feel agitated, lost, insecure and worry about things that are unlikely to ever happen. 4) Accept other people and their differences: When we see a lion, we know that it is dangerous. When we see a sheep we know it is meek and mild. But humans are far more complicated than animals. Learn to accept this fact and realise that not everyone lives by the same social laws as you do and that’s just the way life is. 5) Gratitude: Be grateful for what you have. There will always be others with more than us, so don’t compare yourself with them. Instead contemplate all the things that you do have as you will start to see the positive in everything rather than the negative. Toby is running Working In Balance stress busting retreats at Six Senses Douro Valley throughout January and March 2017.